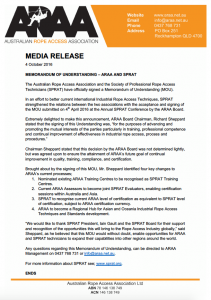 In a major announcement, The Australian Rope Access Association and the Society of Professional Rope Access Technicians (SPRAT) have officially signed a Memorandum of Understanding (MOU). 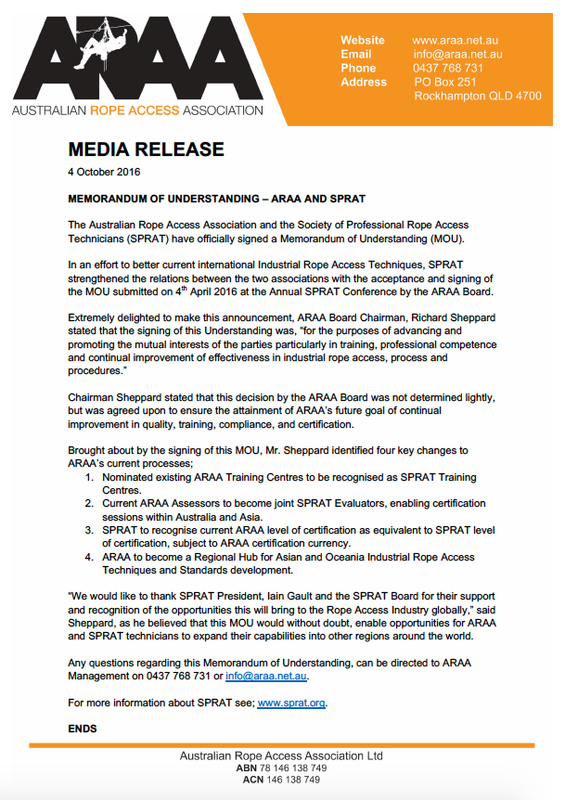 This sets the scene for collaboration and co-recognition between the two industry bodies, which is great news for rope access technicians who hold either certification. There are other benefits of this collaboration, and to read the full MOU, please see below. You may also like to view upcoming places available and to book into the next ARAA course.